Dubai: As Pope Francis embarks on the first-ever Papal trip to the Arabian Peninsula, hotel rooms in Abu Dhabi are quickly selling out, sending prices for the remaining rooms soaring. Francis will address a huge mass in the capital on Tuesday, February 5. The event is expected to draw some 135,000 people. Some hotels confirmed that, due to high demand, their average daily room rates have increased by 15 per cent. 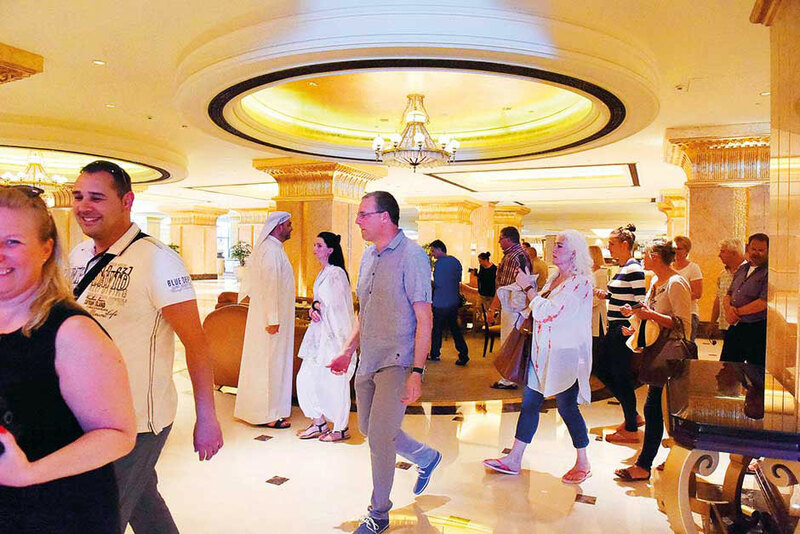 Hotels in Dubai have also benefited from the increase in visitor traffic, while package holidays organised by tour operators have been quickly snapped up by Catholic pilgrims. According to hotel reservation site booking.com, there has been a flurry of last-minute activity, with rooms across Abu Dhabi snapped up as Catholics descend on the city for the mass. The Traders Hotel Qaryat Al Beri Abu Dhabi, by Shangri-La, for example, has been booked 124 times in the past 24 hours. Elsewhere, the Ibis Abu Dhabi Gate, which is located close to the city’s largest sports stadium where the mass will be held, saw 54 bookings in the past 24 hours, according to the site. At Bab Al Qasr Hotel & Residences in Abu Dhabi, all the rooms are fully booked for the Papal visit. “The occupancy rate has been increased this week with 20 to 25 per cent versus last week,” Mahmoud Saad, the hotel’s assistant director of sales, told Gulf News. “Indeed, the Pope’s visit has an effect on [the hospitality sector in ] Abu Dhabi. The average room rate has been increased by 15 per cent due to this event,” he added. Premjit Bangara, general manager for travel at Sharaf Travel Services, said some visitors have booked hotels not just in Abu Dhabi, but in Dubai as well. Tour agencies have likewise offered packages for those who want to come to the UAE to see the Pope. The travel offers include air tickets, visa and hotel accommodation. “According to our sources, they are booking hotels in Abu Dhabi and Dubai, with the first choice being near the vicinity of the venue and the rest will use other forms of transport to attend this function. The average duration of stay is five days,” Bangara told Gulf News. Prices have indeed been spiking ahead of the Papal visit. A night at the Novotel Abu Dhabi Al Bustan, a four-star hotel with 361 rooms located near to the giant Zayed Sports City Stadium, was going for Dh1,050 on February 4, the day before the mass. A week later, on Monday, February 11, the same room will cost just Dh251, a decline of 76 per cent in price. Meanwhile, the luxurious Emirates Palace, likely to be popular with dignitaries and visiting officials, will cost Dh5,750 the night before the event. The following Monday, a room will cost Dh1,902, almost 67 per cent cheaper than the week before. Some hotels in the city have seen such high demand from travelling Catholics that they have sold out completely ahead of the event. Marriott’s popular Aloft Abu Dhabi, the Park Hyatt Abu Dhabi Hotel and Villas, the Centro Yas Island by Rotana, and the St. Regis Abu Dhabi, located on the Corniche, were among the hotels fully booked for Monday, February 4.